In recent years, large companies like Nike and Tide have made craftier and more artistic choices when it comes to their advertisements. They’ve gone with simplistic concepts of how they want to sell their products while creating a cinematic feel. Delta, along with Wieden+Kennedy New York, has decided to take this more artful approach with a new ad that is part of their “Keep Climbing” campaign. 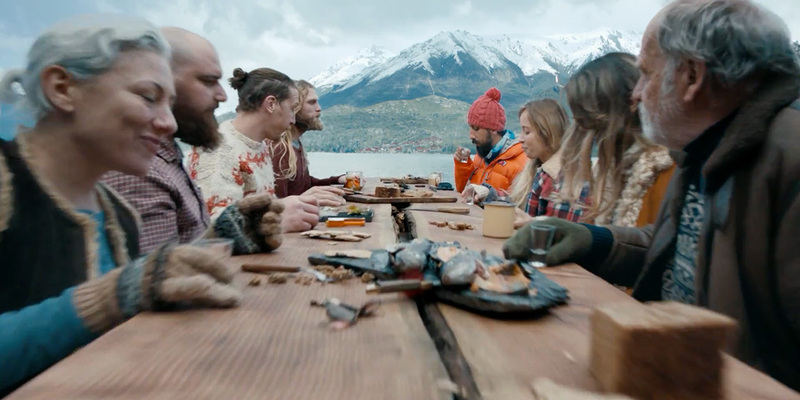 The 51-second ad follows passengers as they experience different cultures and iconic spots around the world. Instead of steady or static shots, the camera captures these people and places as if it were on an airplane runway accompanied with the sound of a jet engine and narration from Academy Award-winning actress Viola Davis. Even the speed of the camera conveys to viewers the experience of jetting down a runway, starting slowly with tourists in Vietnam and then speeding away with a boy in South America. The ad is the product of creative team of Megaforce, the same people responsible for the famous Nike spot “Nothing Beats a Londoner.” These two ads follow a new trend of companies wanting to go bigger and more creative with their ads, making them more like mini-films than commercials.